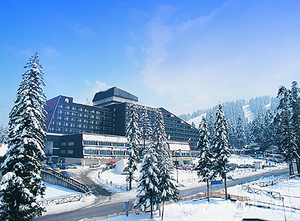 Rila Hotel Hotel 4*Is in the center of the resort at the very bottom of the ski runs and 200 m from the Gondola lift, 50m from "Sitnyakovo" Express and 50m from Quad chair "Martinovi Baraki. Fully renovated in 2002. 1484 beds in 256 double rooms , 266 studios of 4 beds and 2 suites. All rooms have a shower, bath, phone ,radio , Sat TV , and Balcony . 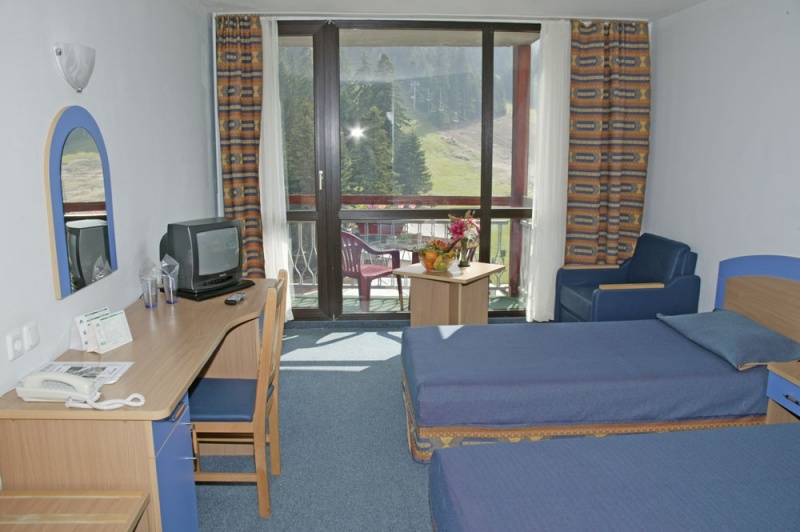 The studios additionally have a bunk bed and kitchenette, 4 pax can be accommodated in. 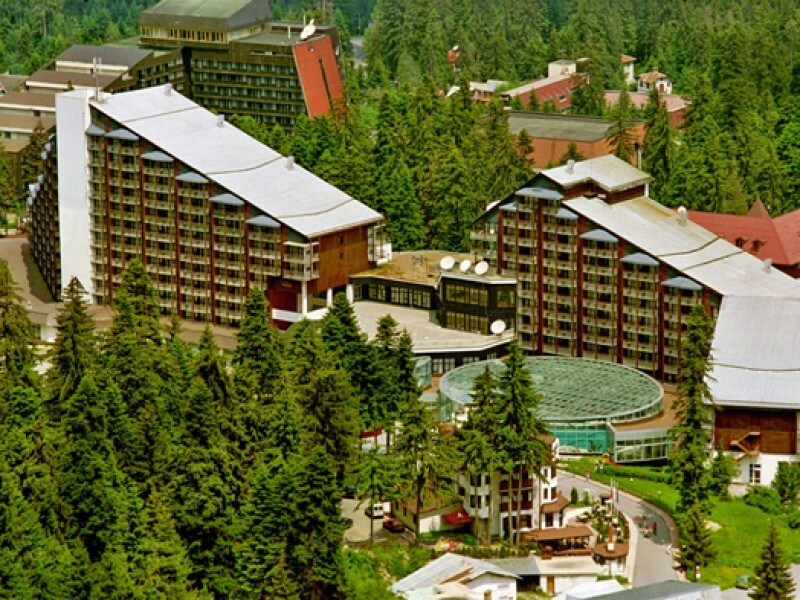 3 restaurants - Rila with 380 seats , Iskar with 300 seats, Sredetz - 80 seats. 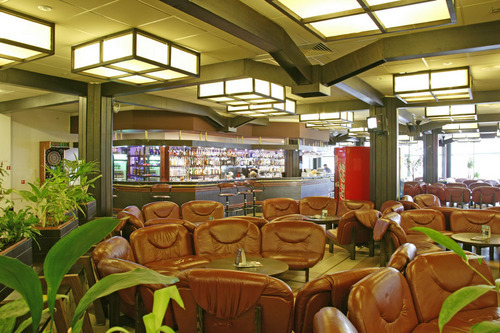 Lobby Bar in the hotel Hall ,Vienna cafe, night club with show program and Disco club, Panorama cafe. 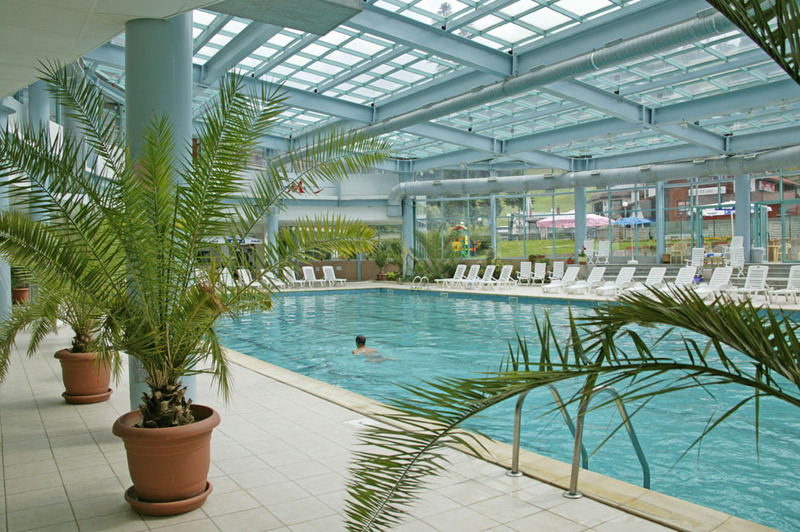 two restaurants, Wien cafe, day bar, lobby bar, night bar; indoor swimming pool, 2 Jacuzzi, steam bath, solarium, conference hall, parking lot. All the prices include: free use of swimming pool. 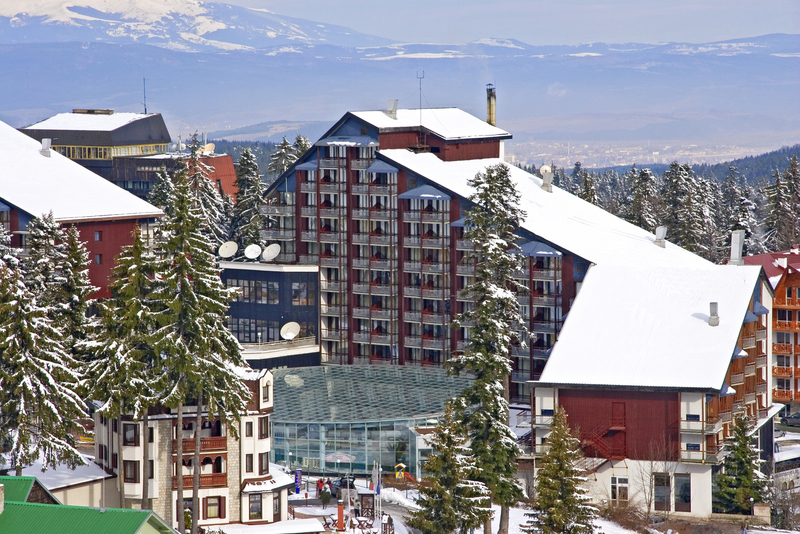 *Minimum occupancy for Studios: 3 pax (adults and children). For children 2-7.99: Prebooked Kindergarten for children 4-7.99 years (ski pack/skies, boots, 2 hrs daily tuition, lunch, games, sweets, tea; BOROKIDS entertainment for children) or Nursery for children 2-3.99 years (supervision, lunch, games, sweets, tea).